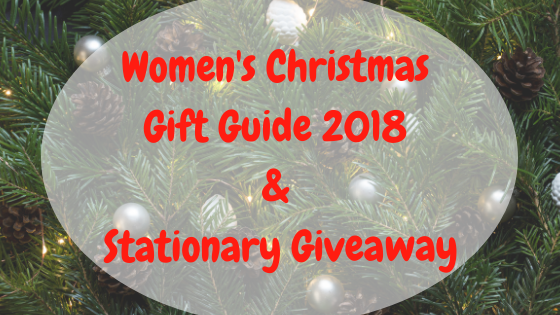 I’ve created a women’s Christmas gift guide full of fab gifts AND a giveaway for 2 lucky winners! If you are looking for some inspiration this Christmas then check out these gifts. Coolgift.com has the perfect gift for anyone in dire need of a neck massage! This super soft pillow wraps around your neck to give you a relaxing massage. Simply insert 2x AA batteries, turn it on, lean back and relax. This smart LED motion sensor light from Coolgift.com is perfect for finding what you need in the bottom of your bag. This is a great stocking filler for anyone who is constantly rummaging around struggling to see inside their bag. What else could make a perfect women’s Christmas gift? The PhoneHug is a guardian angel for your phone! Made from high-grade recyclable silicone this funky accessory stops you from dropping, breaking or losing your phone. The PhoneHug clips to a lanyard to be worn in different ways. A great gift for NHS staff, dog walkers, tourists or those with disabilities that may drop, break or lose their phone. I love that the PhoneHug comes in purple, it looks lovely with the rose gold Lanyard. A useful women’s Christmas gift she will use all year round! This candle making kit from Cosyowl.com helps recreate a popular designer favourite (Jo Malone/RRP £47), for less than half the price. A great gift idea for craft lovers. It contains all you need to make the candles from the comfort of your own home, using an easy to follow step by step guide. A great Christmas gift for her! Use code – WELCOME at checkout for a 10% discount for all new customers. Dr. Numb is a topical anaesthetic cream is leading the micro-blading and micro needling industry, and it´s being widely used in cosmetology, tattoo and other dermatological procedures. A perfect gift for her, especially if she loves tattoos and piercings or regularly suffers from pain. Now, how about winning some prizes for yourself? 2 lucky winners will win some fab prizes from Scaramanga! Scaramanga is an orginal lifestyle shop full of fab, unique gifts. Prize 1: A Medium Vintage Leather Journal (£12.50) and a Leather Pencil Case (£11.50). Prize 2: 5x Mini Leather Journals (£2.30 Each/£11.50) and a Mini Leather Pencil Case (£5.50). UK Entrants only. Winners details will be passed on to Scaramanga to arrange delivery of your prize.